Meet ‘Willow’, the virtual avatar. Woodside Energy has opened up on the business case driving its investment in data science, revealing a potential for payback in the billions of dollars. Senior executives and technology leads – including managing director and CEO Peter Coleman, CTO Shaun Gregory and head of cognitive science Russell Potapinski – are attending IBM’s World of Watson in Las Vegas this week to provide a rare, detailed insight into the company’s embrace of cognitive computing. What is immediately clear is the extent to which not only the technical capabilities of the systems have evolved over the past year but also the extent to which data science is being weaved into Woodside’s processes and cultural fabric. “This is not just about retooling and having the same culture in place,” Coleman said. 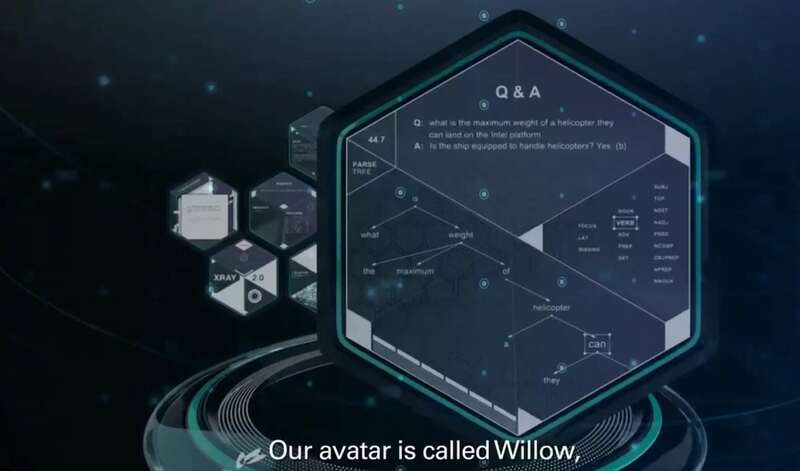 That inclusivity is likely to come from Willow, a sophisticated new “virtual avatar” being co-developed with IBM and understood to currently be in pilot. Staff will be able to interact with Willow using either natural language text or voice queries, with the virtual agent then polling Woodside’s IT systems in order to find them answers. Willow represents a significant expansion in the technological capabilities of Woodside’s work with IBM Watson. To date, most of the public focus has been on ‘Watson for Projects’ - the current name for a desktop interface that lets staff query 30 years’ of historical internal data and documents. Less is known about ‘Watson for Drilling’, the development of which was flagged earlier this year but now appears to be the second, fully-fledged production application of the Watson technology at Woodside. Both the projects and drilling applications of Watson appear aimed at subsets of Woodside staff, whereas Willow could lend itself to much wider use across the enterprise. CEO Peter Coleman revealed for the first time how Woodside’s executive team was won over to invest in Watson and build a data science capability, and how he changed IT’s structure to enable it. Coleman said his personal intuition played a role but the turning point came in a meeting with Woodside’s executive team discussing cognitive computing and what it could bring to the table. “[The business case for cognitive] is often very hard to define, particularly in a business like ours, [because it falls into] the value-add or the knowledge area,” he said. But Coleman said he saw the potential for cognitive to help unlock savings in cost and schedule overruns that often occur on multi-billion dollar projects in the oil and gas industry. “We’d just built a $15 billion project [Woodside’s flagship Pluto LNG] and in my business we don’t get out of bed in the morning for less than $1 billion,” he said. “I went around my executive committee and I said, ‘we’ve just had the team count how many lessons learned in that project – 8000 lessons learned’ and I said ‘give me five’. “You can see the shuffling in the seats. This is only two years after the project was complete. That test confirmed suspicions Coleman had about the way both Woodside and even its peers approached new gas projects. “It became very evident to me early on that we spent a lot of time building big things but each time we built one we [would] have to go back and recall what we did last time,” he said. “The reality is by the time you get to be a project director on a $15 billion project, it’s probably your last project, because you’re at a point in your career where you’ve built a set of competencies and experiences that you’re down to your last project,” Coleman said. “So you do that one, you put a bow on it, you shake hands, you take the gold watch, you move out and you’re lost to the organisation. Once the call had been made to invest in Watson, Coleman set about putting in place a structure that would allow Woodside’s fresh investment in technology to be successful. “The first thing to do was to define what we wanted computing to be,” he said. “For us it was interesting because IT had always reported to the CFO, and of course when IT reports to the CFO it becomes a cost centre and it gets managed in that way. Coleman switched the reporting line for IT directly through to himself. “We had to have them reporting to the CEO,” he said. “We had to put them into almost a ‘box’, so to speak, but it was a precious box of jewels, and [it was to give them] a license to go and think and innovate. As Watson takes up a more prominent position in Woodside’s business, the company has reached a turning point in its adoption of cognitive computing and data science more generally. In other words, Woodside is no longer pushing the business to adopt Watson; rather, the business is fast seeing the benefits and trying to pull the technology capability into their respective areas. It's a key turning point for internal acceptance, and justification of Coleman's top-down backing. However, what Coleman said had surprised him was how the organisational experience with Watson is redefining internal expectations for technology adoption. "One of the added advantages that I didn’t really predict was the adoption of change and continuous improvement,” Coleman said. Coleman said the Watson experience was “contaminating” thinking and acceptance of these kinds of timelines. “Our people are now challenging that eight years,” he said. Ry Crozier attended IBM's World of Watson as a guest of IBM.